I first read John Berger in the late 1960s in his occasional pieces for the weekly journal, New Society. They were quite unlike anything else in that sociologically-inflected but much admired magazine, often including drawings and small fragments of poetry. One short essay concluded by citing a Russian proverb – ‘Life is not a walk across an open field’ – which I’ve remembered to this day. 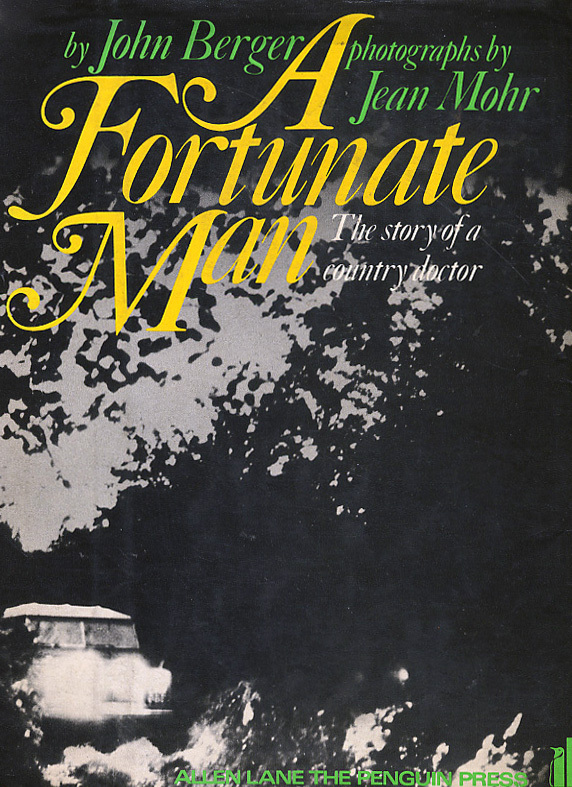 At some point New Society began to run extracts from a forthcoming book by Berger in collaboration with photographer Jean Mohr, A Fortunate Man: The story of a country doctor, which, on publication in 1967, I actually bought new. This was a rare event for a book collector on limited means as I was then. It soon became the work that, more than any other, re-shaped my imaginative life, fostering an abiding fascination with the relationship between writing and photography, as well as investigating what might be meant by the idea of a life’s vocation. With echoes of Turgenev’s Fathers and Sons, or Georges Bernanos’ The Diary of a Country Priest, it documented the daily round of a real-life doctor, Dr Sassall, serving a small community in rural Gloucestershire, in circumstances where for many of his patients life was something to be endured rather than enjoyed. In short, it was about the ethics of vocation, which as someone then training to be a teacher was becoming an important question to be asking oneself. For although I knew Berger to be a self-declared Marxist, this deeply sympathetic book celebrated the idea of vocation over and above the reductionist view of teaching and other public professions espoused by mainstream Marxist ideology. He and Mohr later recalled that they had to negotiate their respective roles in the making of this book, so that what at first had been in danger of becoming a traditional text illustrated by photographs needed instead to become ‘a conversation, building on, rather than mirroring, one another.’ The effect was a complete re-invention of documentary form, with the words and the photographs independently complementing, independently challenging, but amplifying and enriching each other, a mode of working from which Jason Orton and I learned much. 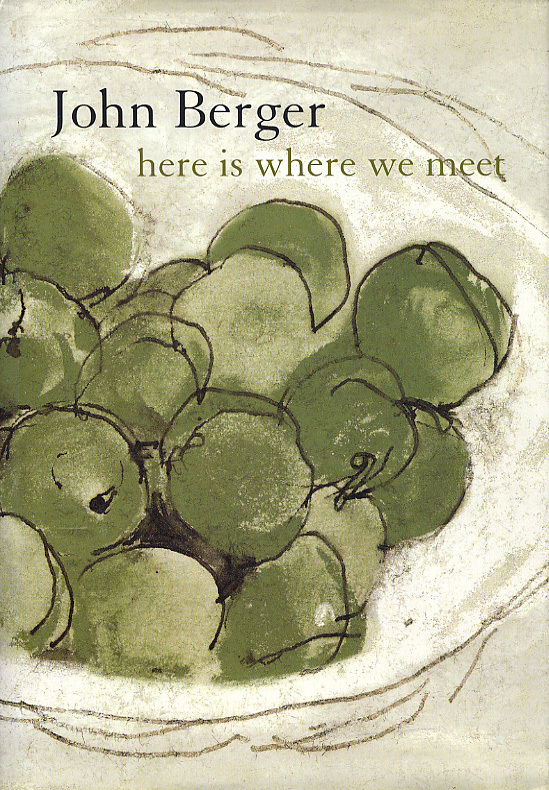 Berger frequently collaborated with others, perhaps most famously with Jean Mohr, but also with film-maker Mike Dibb on the TV series, ‘Ways of Seeing’, and painter John Christie. His life was constantly lived in conversation with others, both the living and the dead, close by and across the world. Another two books by John Berger have a particular significance for me. His 2005 collection of stories about meetings with the dead, Here is Where We Meet, is one. I had thought I was somewhat eccentric in regarding the companionate dead – those people I knew who had since died – as dear to me as many of my living family and friends – but so did Berger. But there was an additional pre-occupation which Berger addressed directly – and again unusually – when he gives the dead the role of returning to the earth to repair what has been broken. (There is a long established Talmudic belief that the work of the good on earth is to repair the world). Thus he has his mother, who after dying returns to Lisbon to live her second life, where Berger meets up with her again. In one of their walks they come across a dog barking furiously. ‘One thing repaired changes a thousand others,’ insists the mother, and although the incident is traditionally expressed, the politics belong to the future. Noticing that the chain on the dog is too short to allow it reach the shade, hence its distress, she suggests that by lengthening the chain just a little the dog will find shade and stop barking. Thus the family and neighbours will become happier and start talking to each other again, and many other good things might flow from this one small act of thoughtfulness. 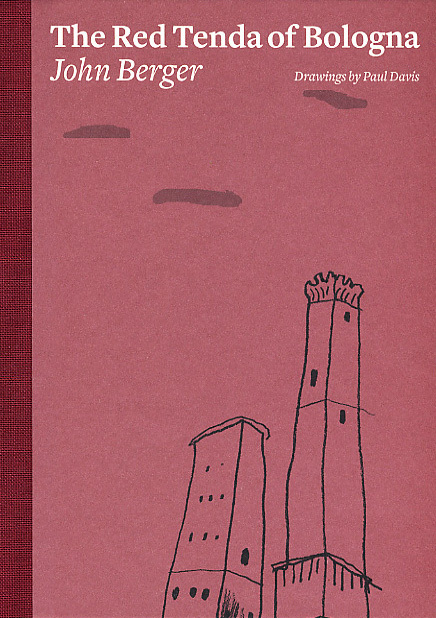 The Red Tenda of Bologna, with drawings by Paul Davis, published in 2007, is another favourite. It is a family story, yet again, this time of a fond uncle, long dead, whom Berger ‘meets’ again unexpectedly in Bologna, a city both men loved – as I do too. The red ‘Tenda’ are the shop blinds that distinguish many of the arcaded cafes and stores, but whose exceptional colour – and Berger was obsessed with pigmentation and its provenance – dramatised his memory of the city. The small book ranges across food, paintings, memories of the resistance, and martyrdom. On several visits some years ago Larraine Worpole and I spent days – she taking the photographs, myself taking notes – recording the many memorable tombs and public memorials, in La Certosa Cemetery, and in the city itself, for a book we did together, Last Landscapes: the architecture of the cemetery in the West. The memorial to the partisan resistance during the Second World War in the town square, which Berger describes in relation to a poem by Pasolini, is painfully unforgettable. 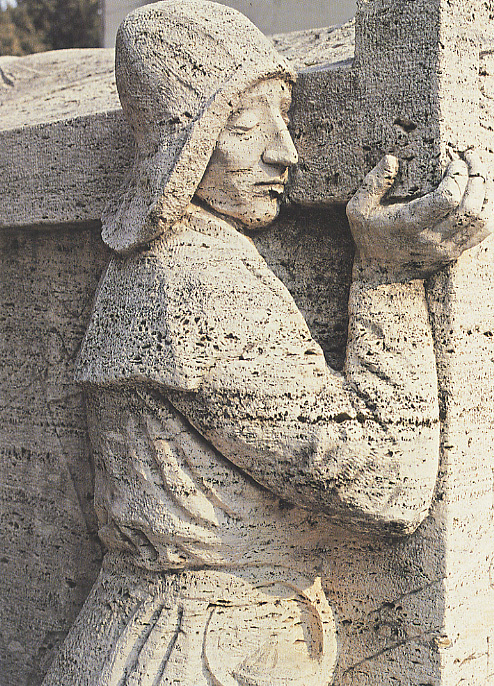 Detail of the tomb of Ennio Gnudi, leader of the railway workers’ union, by sculptor Farpi Vignoli at La Certosa Cemetery, Bologna. Photograph © Larraine Worpole. Berger’s work has been incomparable in so many fields of political and cultural creativity. Sometimes the debt owed by his admirers has been obvious. The two volumes of Working Lives a group of us published in Hackney in the 1970s as part of an oral history project, mixing transcribed text with photographs, were a direct homage to Berger & Mohr’s A Seventh Man. But his influence has been subtle and pervasive in many other ways. We shall be walking and talking with John Berger for a long time to come.